Upland InterFAX provides a cloud-based email-to-fax service that lets you send and receive faxes using any email program. 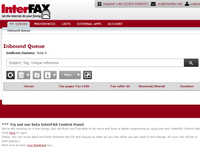 Sending a fax is as easy as sending an email, and your emails are automatically converted to faxes as they are sent. Our core strengths include our powerful suite of APIs and the highest level of security available. 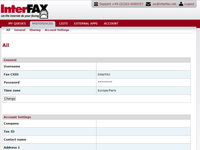 The Interfax solution is accredited to PCI DSS Level 1, HIPAA, HITRUST and Privacy Mark. The company is certified to ISO27001 and is GDPR compliant.